Since the consumer launch of Windows Vista (Webcast) is only a couple of hours away I want to share some screenshots with you. 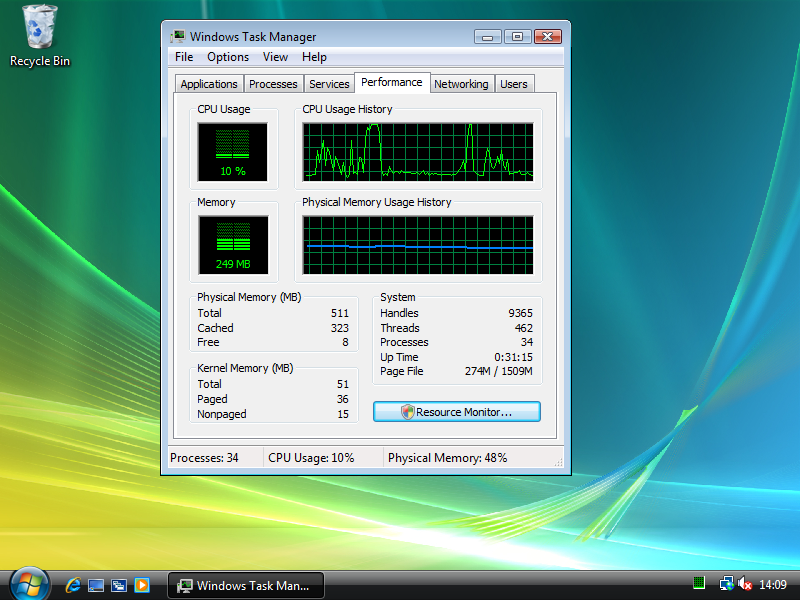 First of all it took quite a while to install Vista on a virtual machine, but the RTM version is definitely much faster and less resource hungry than all Beta builds I have seen before. 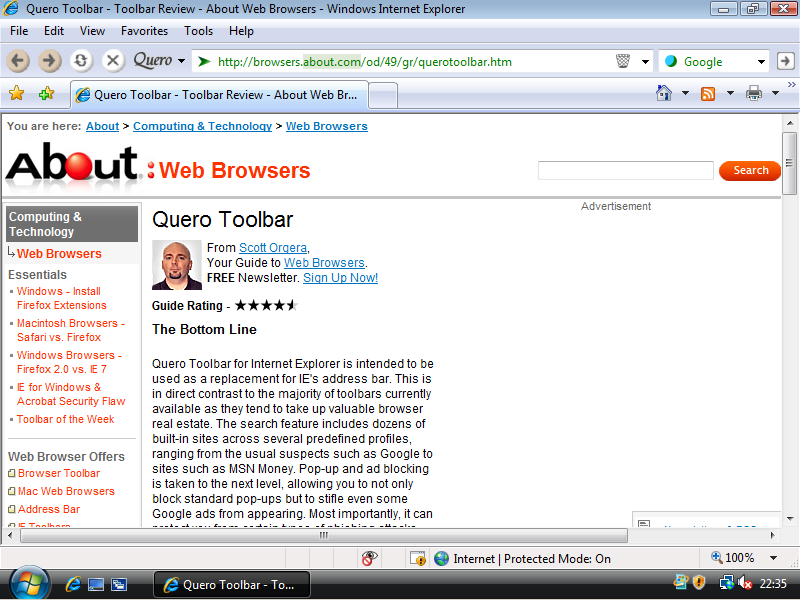 And the best thing is all features of Quero including the ad blocker are working in Vista. On the other hand there are also some compatability and internal issues (bugs?) 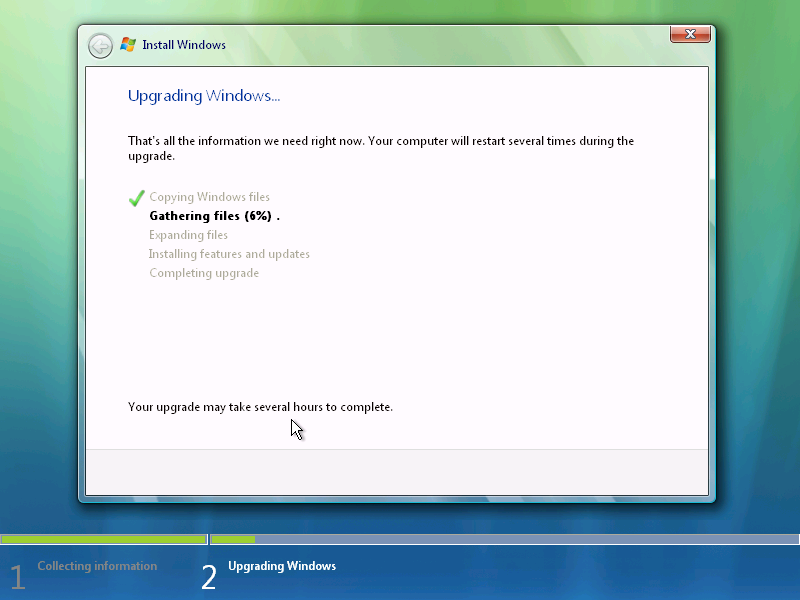 in Vista that I am trying to resolve now. Expect a Vista compatible version of Quero soon. I have ported two popular themes from the graphic artist Everaldo, that are known from the KDE desktop, to Quero. Thanks to Everaldo for making the icons available. As a birthday present, I have updated the Quero Launcher that can tweak the user interface of IE7 and open multiple tabs from the command line now. I am going to present Quero's anti-phishing techniques at the PST 2006 conference which is focusing on privacy, security and trust technologies and research issues. The conference will be held from 30th October to 1st November in Markham/Canada (near Toronto). I would be glad to meet you there. Yesterday afternoon (PDT) Microsoft has released the final version of IE7 for Windows XP SP2 (English). With Quero you can customize your browser, decide whether to replace the standard navigation bar or use Quero like a search bar, find text as you type (Quick Find), fight address spoofing attacks and arm yourself against annoying ads with the integrated ad blocker. The Quero News are now offered as an RSS feed too. All keyboard shortcuts are now available in the Windows 98/NT version, too. IDN: Due to compatibility issues loosened requirements for legal ASCII URLs (UseSTD3ASCIIRules unset for sublevel domain labels).